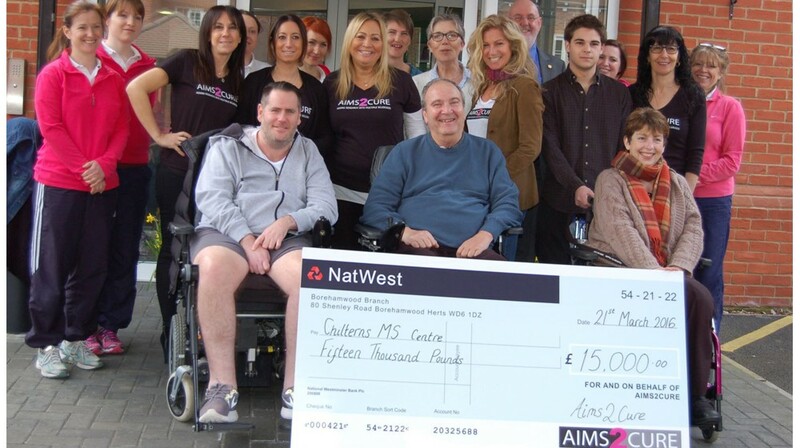 Aims2Cure visited the Chilterns MS Centre this week to present a donation for £15,000 to help fund the cost of their much needed physiotherapists. Physio can help tackle a wide range of problems for people with MS including increasing physical independence, mobility and fitness. We were delighted to be able to give such a fantastic grant to such the centre and know that it will bring much needed help to many. We would like to say thank you to all our supporters who help make this possible. We appreciate and are grateful for everything they do for Aims2Cure.